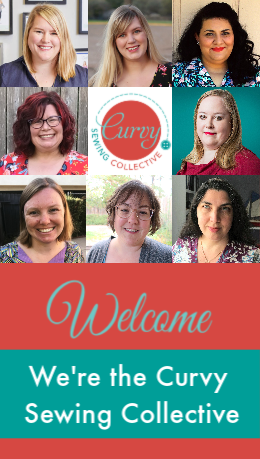 You are here: Home / Curvy Confidence / Welcome to the Curvy Sewing Collective! The seven editors of the Curvy Sewing Collective represent the plus-sized community in all its inclusive, gorgeous range. Though we each self-identify as curvy sewists, we are a wide range of sizes, ages, and backgrounds. Whether you’re a pear shape or hourglass, beginner or advanced seamstress, you can find common ground here. 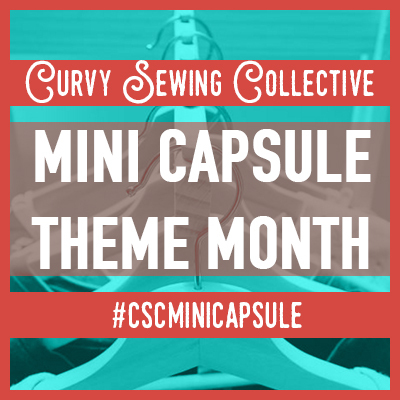 Above all, the CSC is united in the belief that body positivity and personal style are the keys to joyful home sewing. When a woman makes something she loves that fits her body impeccably, self-confidence shines through. To that end, you won’t find any dieting tips or complaints about cellulite on this website. Instead, we celebrate the female shape in all its varied, beautiful glory. Incidentally, we love posts from other sewing bloggers. If you have a great homemade outfit to share or tips to impart, get in touch! We’d love to add your positive, stylish voice to the Collective. 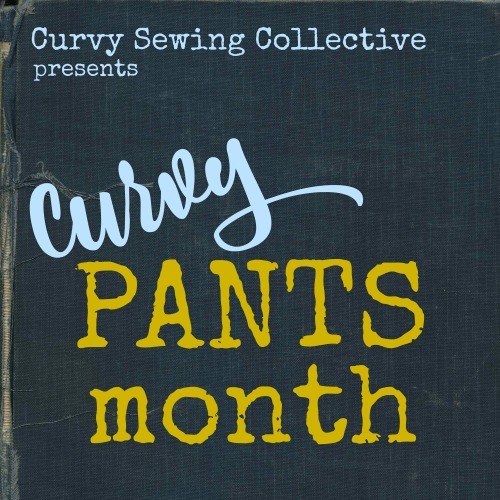 If you have questions or comments, e-mail us at: mail@curvysewingcollective.com. We also have a Facebook page and Bloglovin’ feed, if you’d like to connect to us there! “Wow! This was spectacular information! I really, really want to start sewing for myself. I’m 42 and shopping is a miserable experience for me. I’m 5’9” size 22 pants, 42G bra, sz 11 feet. Do you know how shameful it feels to walk into a store and know that I will most likely leave empty handed? I’m done with it. I’m also done paying outrageous prices at LB or Torrid for poorly made items that just barely fit well. There’s no reason I shouldn’t be able to wear tailored beautiful clothing in flattering shapes, patterns, and colors. Oh wow! This is great! Thanks for doing this ladies! BRILLIANT!! Well done to all of you for making this happen, this is the blog-collective I’ve been waiting for! Can’t wait to see how it develops and what you get up to. I am ecstatic! So glad to have tis valuable resource. Thank you so much. Great idea – I have added this to my reading list. A lot of the links on the blogroll to the blogs of the The Curvy Sewing Collective editors are not working for me though. Thanks for letting us know – they are fixed now! When I first saw your contributors modeling their Collette Moneta dresses, I was thrilled. I could see what the dress would look like on real bodies! And, it looked fabulous. So, I made one! Thank you, Jan! I’m so, so happy that we inspired you to try the Moneta! It’s such a great pattern, isn’t it? I have yet to see one I didn’t love. Thanks, Nessa! I’m so glad you’re joining in on this. The forum is going to be such a great resource. I can’t wait to get to know other curvy sewers!